In July 2011, the Sydney Coastal Councils Group (SCCG) was awarded funding under the Coastal Adaptation Decision Pathways Project (CAP) for three projects- (1) “Prioritising Coastal Adaptation and Development Options for Local Government”; (2) “Demonstrating Climate Change Adaptation of Interconnected Water Infrastructure Project” and; (3) “Assessment and Decision frameworks for Existing Seawalls”. Funding has been provided by the Australian Government represented by the Department of Climate Change and Energy Efficiency. The Coastal Adaptation Decision Pathways projects is an Australian Government Initiative. A Newsletter covering all three projects is available here. 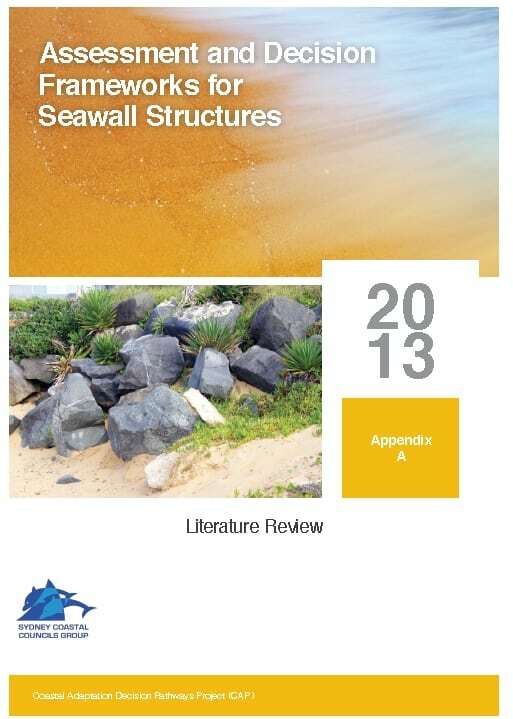 This project, “Assessment and Decision frameworks for Existing Seawalls”, assists Local and State Governments to evaluate the robustness and condition of existing small seawalls for coastal climate change protection and outline possible options for further upgrades. 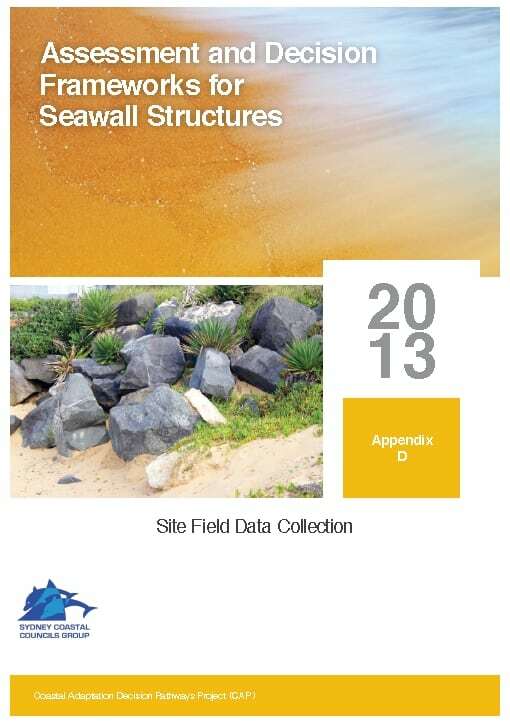 Seawalls and protection structures exist at many locations where construction details are unknown and the capacity of the structures to withstand existing storm and inundation events is not well understood. Where coastal protection is deemed the most appropriate management option, the state of existing seawalls and other protection structures is an important consideration. Sea wall asset owners and managers (usually Local Governments) are faced with determining development applications in areas protected by structures of unknown quality and origin (some approved and some not). Frequently there is conflict between the coastal managers and the community who have varying impressions of their effectiveness. The project has produced Part A: Synthesis Report (3.8MB) based on individual reports prepared by subject specialists. A forum held at Rockdale Council, provided presentations on all aspects of the project, and an open Q&A followed by a ‘hypothetical’ to explore the complex issues involved in managing existing seawalls. 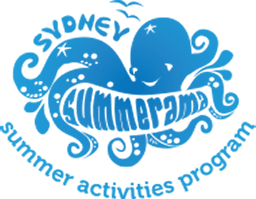 The project is being delivered in partnership between the SCCG, Coastal Environment Pty Ltd, Griffith University Centre for Coastal Management and the Water Research Laboratory (UNSW). Click here to learn more.